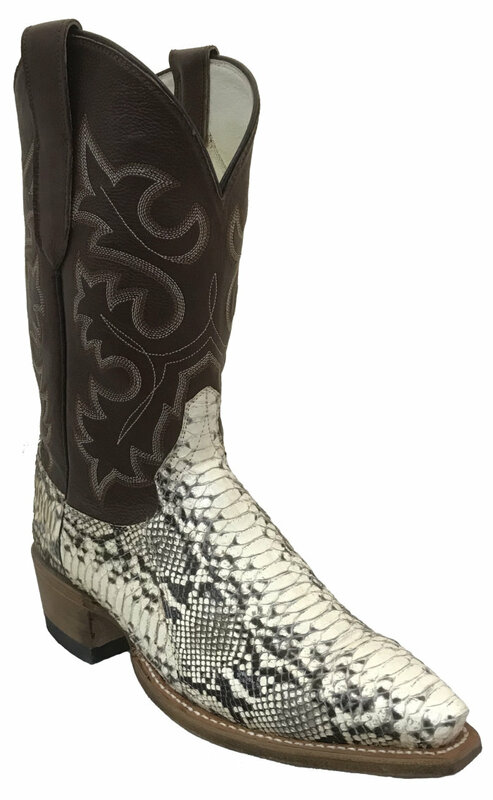 Women's natural python snakeskin boot. 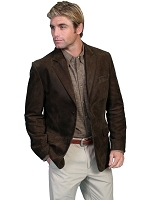 10" dark tan colored top with fancy stitching. 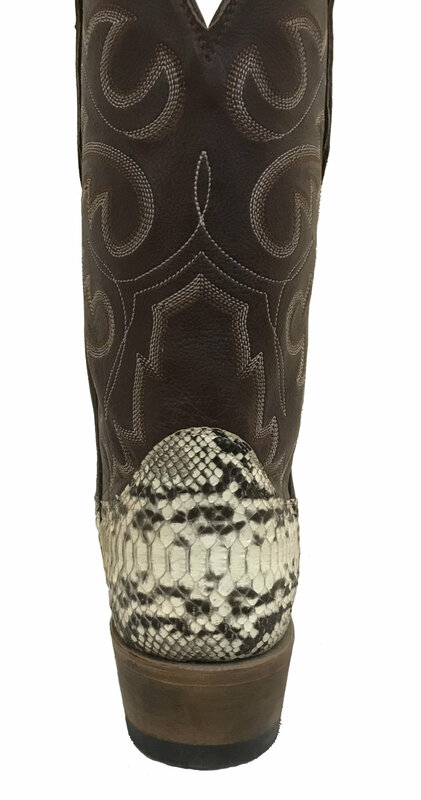 Leather lined, cushion insole, leather outsole, 1.5" walking heel, and pointed snip toe.